If you need a HDD Format Error E:31:00 service, then contact our friendly company. 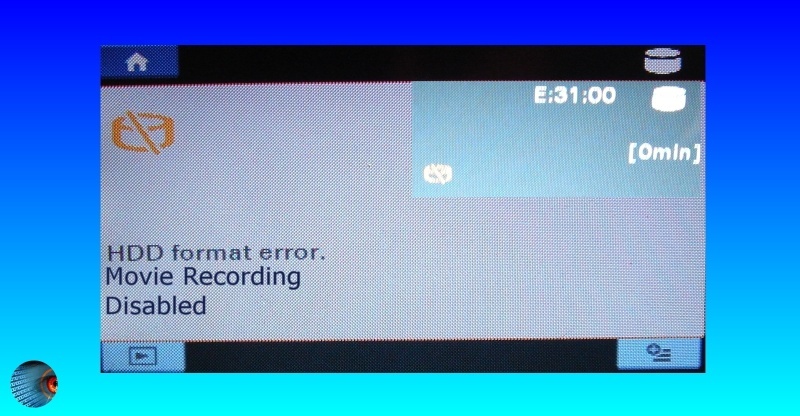 Display screen of s Sony Handycam HD - when powered on the screen shows HDD format error, followed by E:31:00 error message. Following this message the user is unable to connect the camera to the computer to download videos. Also play back of recorded footage is not possible. Th error is caused most likely due to bad sectors on the hard disc. These can accumulate over time when the camera is knocked or subject to vibration because of the delicate nature of the hardware.